How’s the serenity? NOIRE singer and songwriter Jessica Mincher discusses the value of leaving the big smoke for the quiet country. Jessica Mincher and Billy James quit their day jobs and moved out of their house in Surry Hills in inner city Sydney to a farm in Queensland near where they both grew up. Stepping away from the stress and the distractions of the city they were soon able to get back to making music. Fenella Henderson-Zuel spoke to Jessica in Switzerland about the indie pop duo known as NOIRE and their latest recording, Some Kind Of Blue. When we finally manage to connect our Skype call, Jessica Mincher is bitterly disappointed to discover that the video feature isn’t working. “I’m in Switzerland and I wanted to show you the view! It’s very beautiful.” The singer-songwriter is currently road-tripping through Europe with fellow musician and songwriter Billy James, the other half of Australian indie pop rock duo NOIRE. The pair are taking a well-deserved break as they celebrate the release of their debut album, Some Kind Of Blue, and are enjoying the freedom of living without a schedule. Though writing songs is one of the most important things in her life “so far”, Jessica’s greatest love is film. Asked who were her main influences, rather than songwriters or musicians she nominated directors David Lynch and Jean-Luc Goddard. Visits to the cinema are "theatrical and dramatic experiences", and her lifelong dream is to follow in the footsteps of one of NOIRE’s other inspirations, Australian singer/songwriter and composer Nick Cave, and write film scores. She and Billy are currently working on music for a filmmaker friend but Jessica’s “absolute goal” is to create music for Lynch, Godard, Sofia Coppola and Wim Wenders. Their influence is clear in deeply atmospheric NOIRE tracks like Real Cool and He’s My Baby. While this European trip and the impending release of the debut album is exciting, the past two years have been tough for NOIRE. 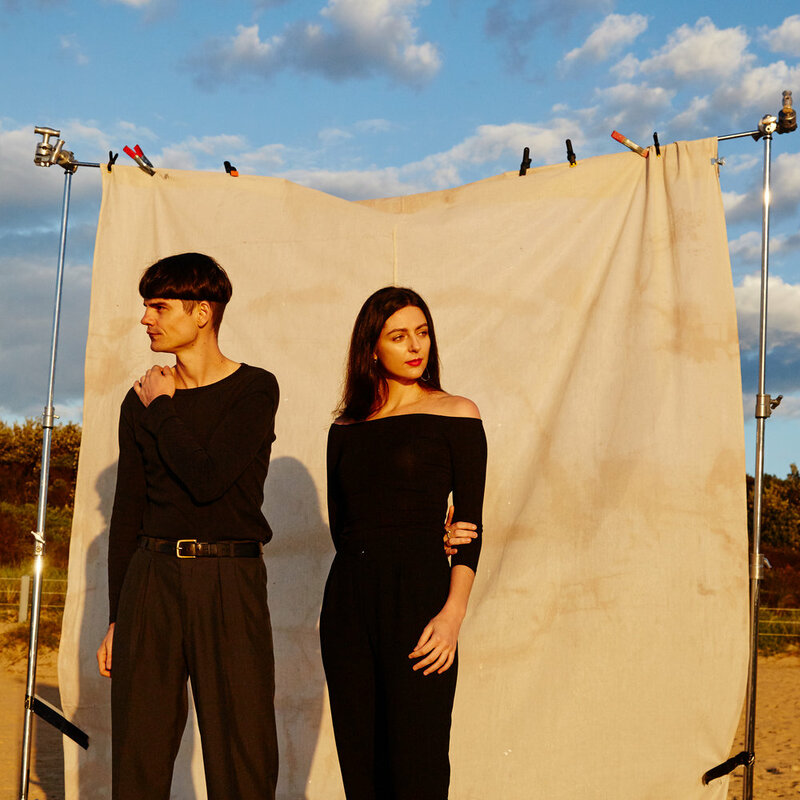 Unable to afford to focus on their music and support themselves in Sydney, Jessica confesses that the band became disillusioned with the life of a city-based artist. She and Billy quit their day jobs and moved out of their house in Surry Hills to a farm in Queensland near where they both grew up. Stepping away from the stress and the distractions of the city they were soon able to get back to making music. That body of work became Some Kind Of Blue, released last Friday. After putting the creation of the album aside for so long the pair felt a need to complete the work as quickly as possible and exorcise their city demons. Taking a cue from Nick Cave, Jessica and Billy treated the creation of the album like a full-time job. Setting a strict timetable forced them to spend time on the album each day in an effort to put their difficult time in Sydney behind them as quickly as possible and produce their first major work. The album’s title perfectly captures both the struggles of the past and the musical influences captured within. As is often the case, Some Kind Of Blue didn’t turn out exactly as expected but it still managed to have the desired effect. “It was meant to be about a darker time and I think, even though we didn’t end up dealing with it, it was like the healing of it. [The album] turned out a lot more happy and positive than I thought it would,” she says while laughing. The pair now feel far more comfortable with their abilities and the possibilities for the future, having proven to themselves that they can create music they believe in when they set their minds to it. And Some Kind Of Blue is only the beginning.